5 1/2" tall and 10 inches long. Button in ear, but no tag. Body tag: "Made in US zone Germany". 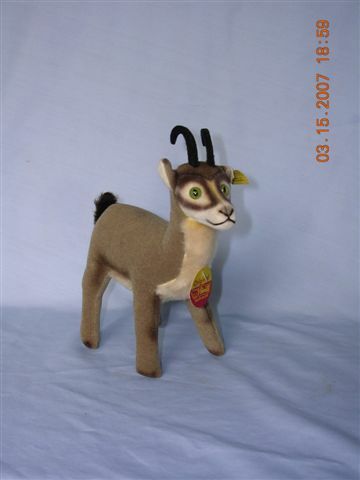 Ribbon around neck with bell. 6 1/2" Button in ear tag: "1610/22 Made in Germany". 6 1/2" Button in ear tag: "1680/22 Made in Germany". 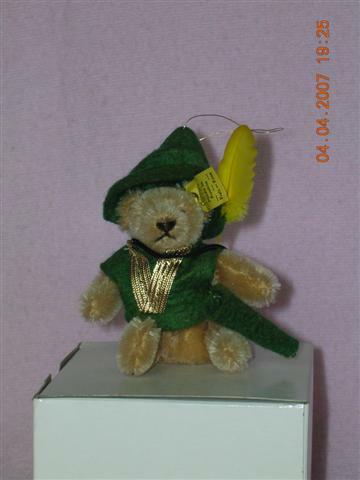 3" teddy dressed as Robin Hood. 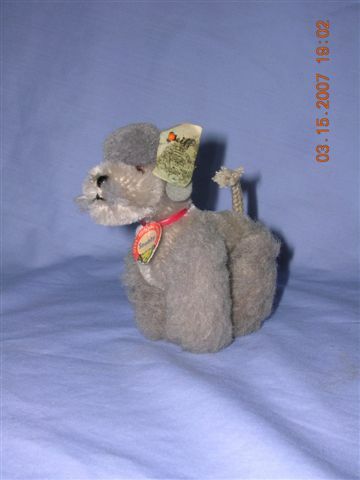 4" gray poodle. Ear button tag is detached. No number. 4 1/2 " tall. 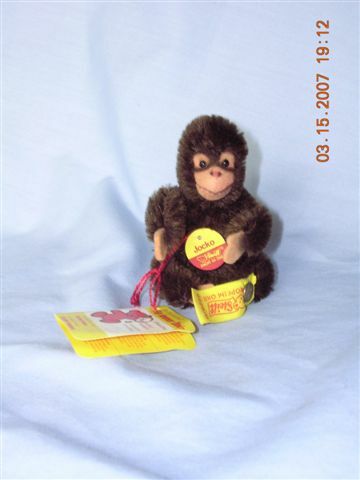 Body tag: "Teddy 1926 replica". 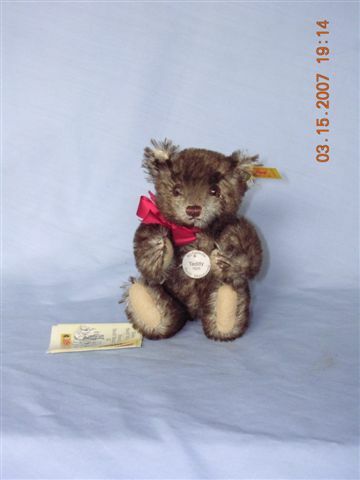 Button in ear tag: "029271" White body tag: "Historic Steif miniature genuine mohair. 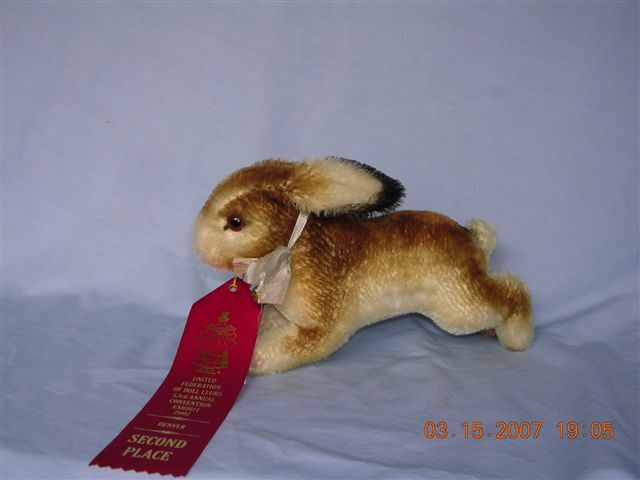 10" sitting gold mohair. Body tag-"original" Button in ear tag-"665974 Made in Germany." 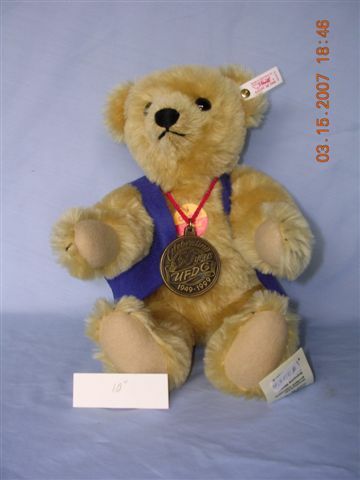 Heavy medal around neck-"Celebrating 50 years UFDC 1949-1999"
9" sitting caramel mohair. 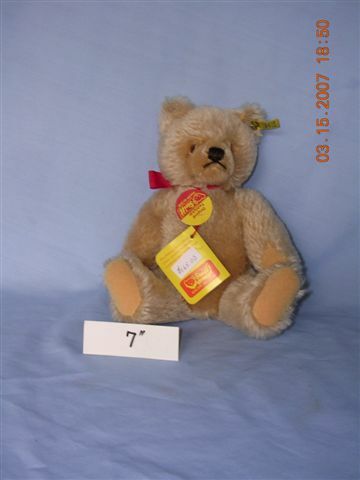 Body tag-"original Teddybar." Button in ear tag-"0202/36 Made in Austria." 7" sitting beige mohair. 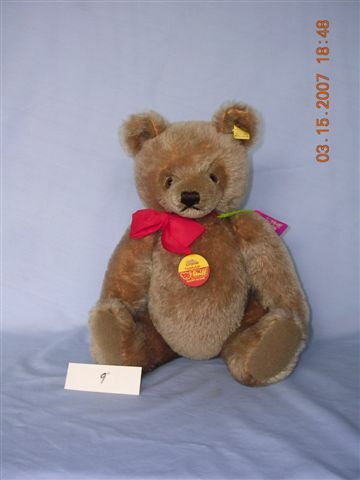 Body tag-"original Teddy Bear." Button in ear tag-"0201/26 Made in Austria"